Lite'n Foamy Sunflower Fresh is a bio-based foaming handwash, formulated with ingredients made from renewable resources. 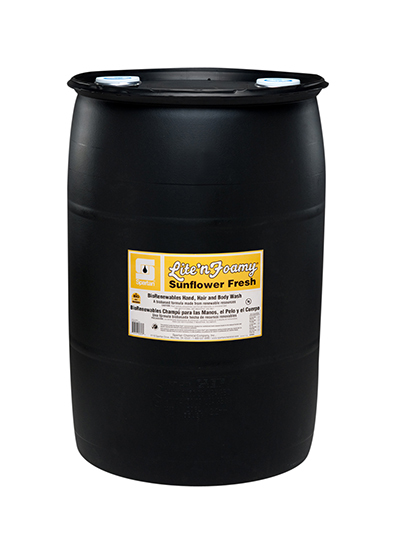 Sunflower Fresh was formulated for luxurious foam delivery through Spartan's Lite'n Foamy Dispensers. The bio-based materials used in the formula produce a foam that leaves the skin clean and soft. The formulation contains naturally derived actives to form an excellent lather to clean soils found on the skin.